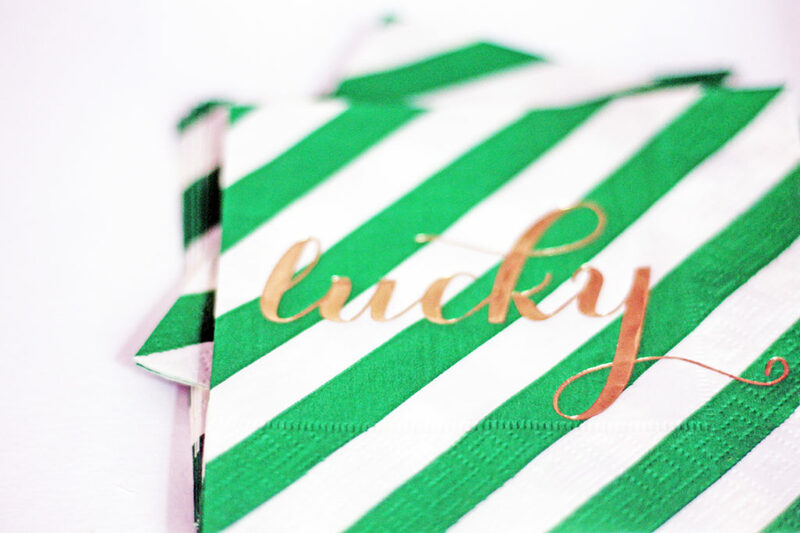 You may remember a post from last month, where I shared some fun valentine printables from Sunshine Tulip Design and how to style them for a party and create some treat bags using the adorable gift tags. 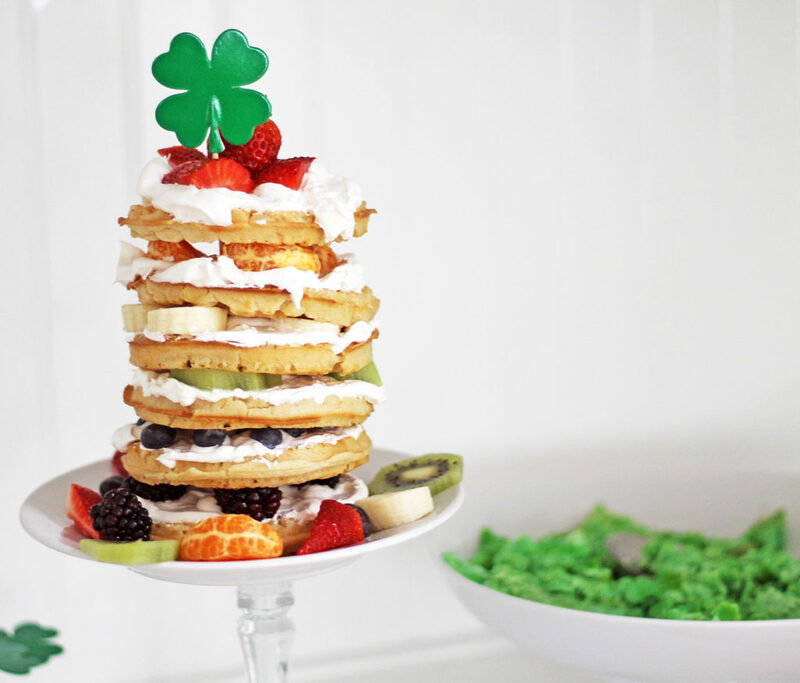 Well, I’m back with some ideas for St. Patrick’s Day! 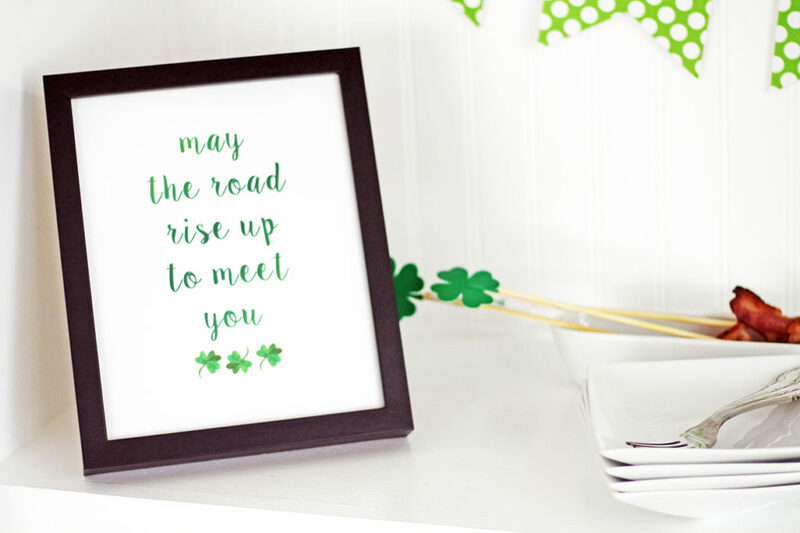 First, let me just say that Christina’s designs for St. Patrick’s Day are adorable…so crisp and such a pretty shade of green. 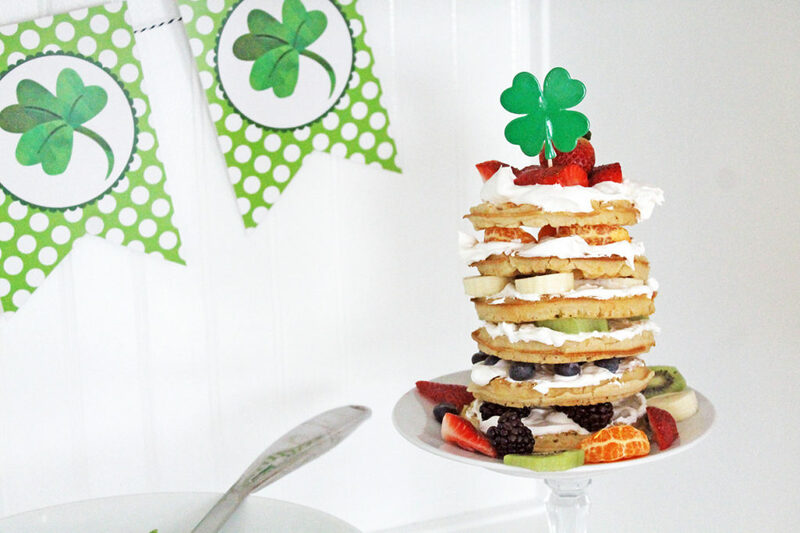 Of course, I adore the polka dot design with the shamrock! 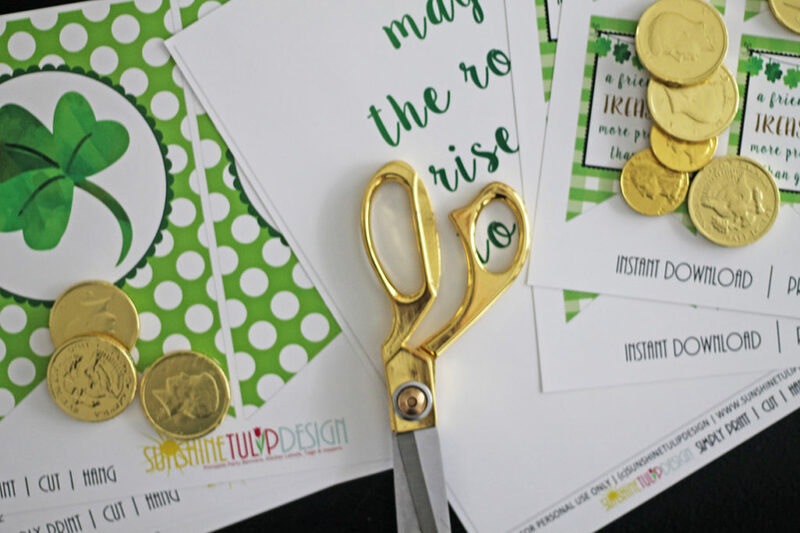 You simply download the designs, cut them out, and display them. 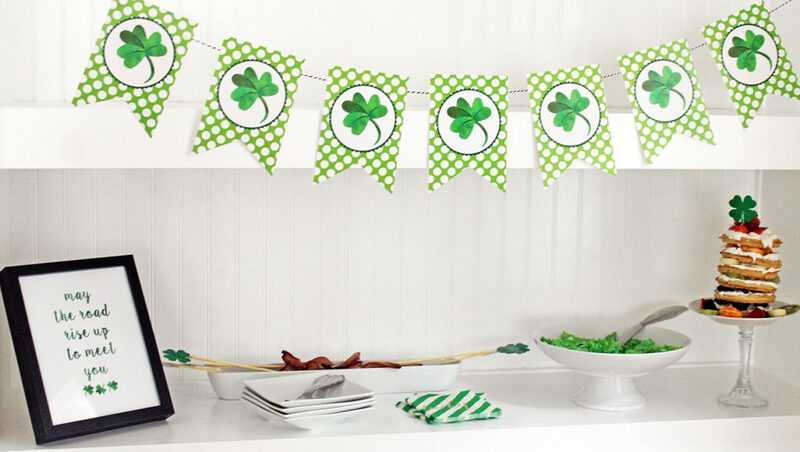 I chose to display the banner and sign with a fun St. Patrick’s Day themed breakfast. 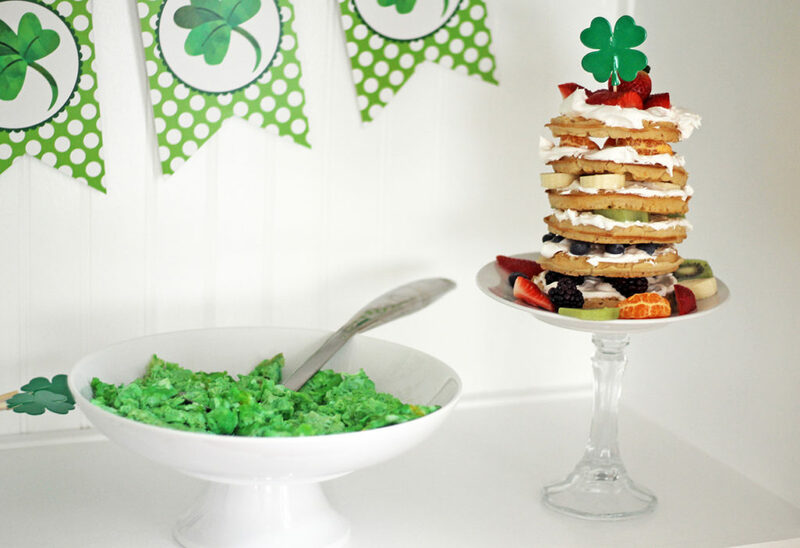 The menu included bacon on a stick, green eggs, and a rainbow waffle cake. 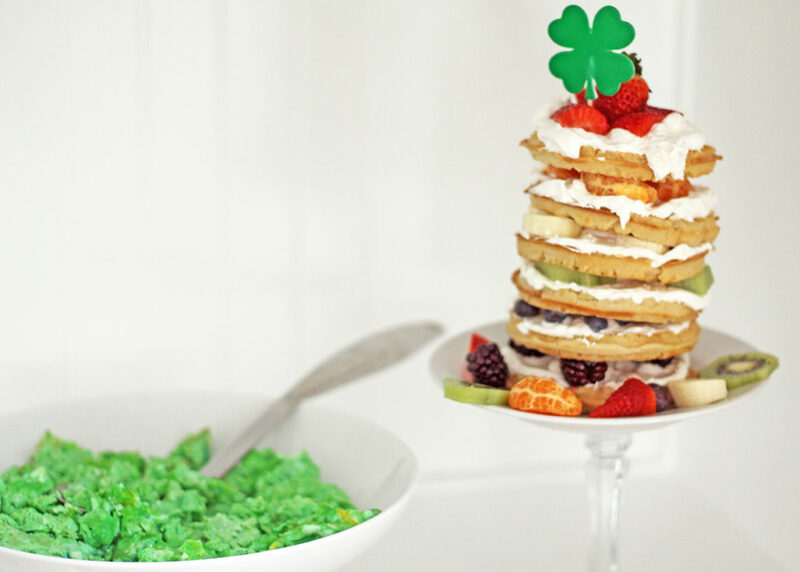 I always think of green eggs during the month of March…with it being the month of Dr. Suess’ birthday, as well as St. Patrick’s Day. 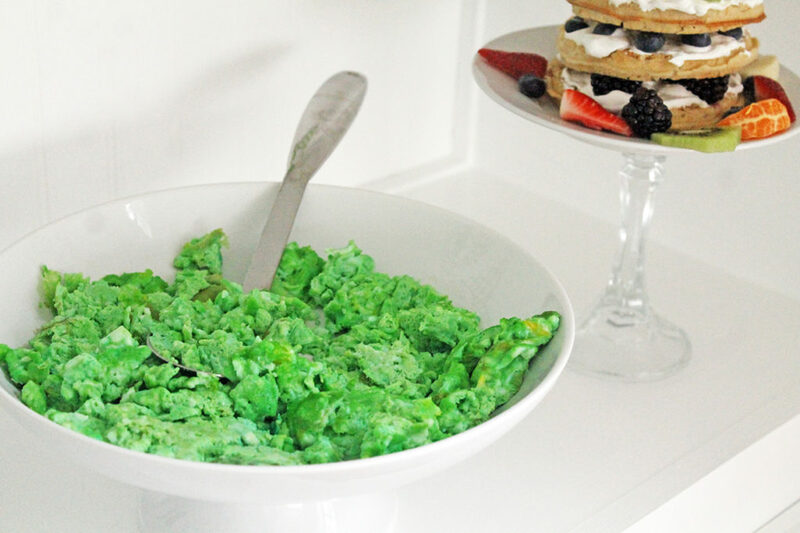 It’s so easy to add some green food coloring when scrambling eggs, and kids are always so surprised by them. 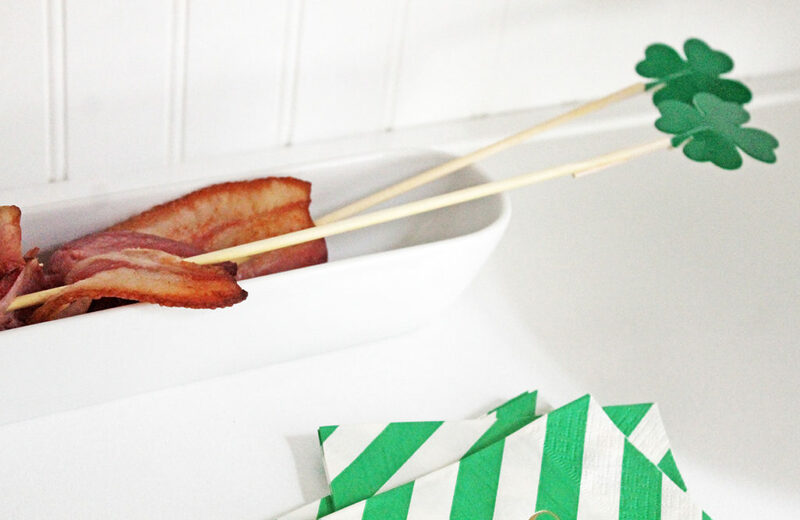 I made the bacon on a stick by poking the bacon back and forth through a skewer. 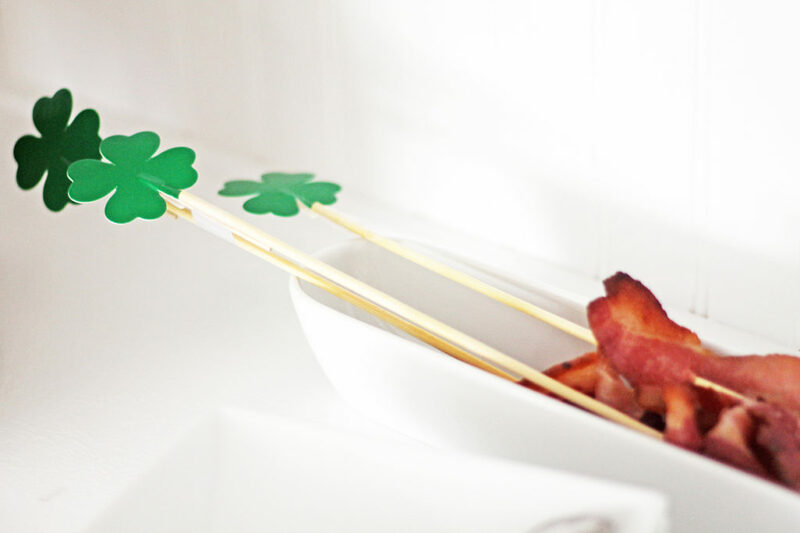 I added some shamrock cupcake toppers to the end of the wooden skewers for an added festive touch. The bacon looks cute this way AND it keeps hands from getting too greasy! The rainbow waffle cake was fun to create, and I’ll share the step-by-step instructions tomorrow…so be sure to check back then. 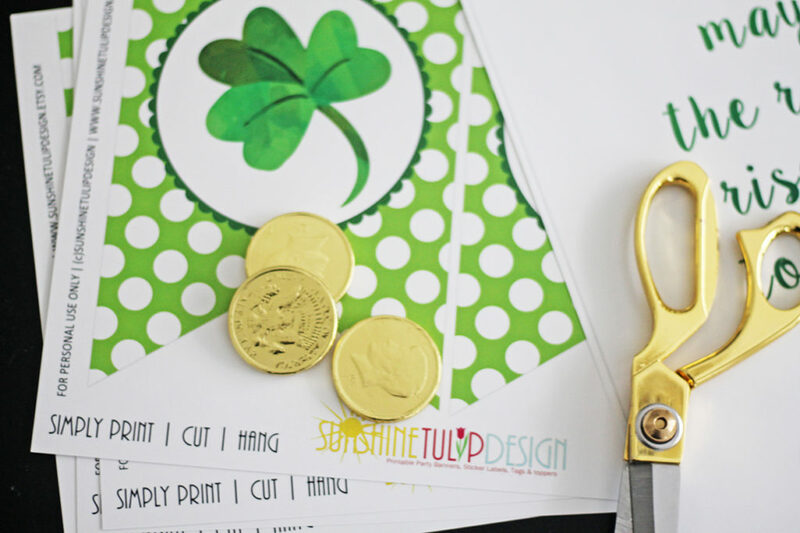 In the meantime, head over to the etsy shop for Sunshine Tulip Design and get some great printable designs for St. Patrick’s Day!